Can you imagine a Ferndale Mall, centered in the middle of a “Ring Road” alternative to 9 Mile? Or what City Hall must have been like in the 40s and 50s when city business was conducted out of an old bank building? 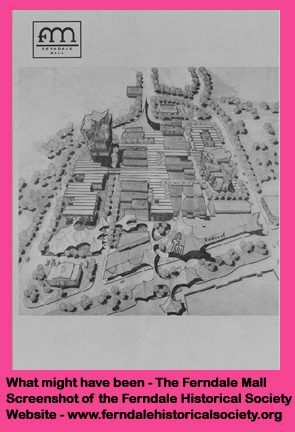 Or how promotional materials about Ferndale looked in the days before computers and graphic designers? Or how small town life was for the generations who came before us? Those things and more can be learned with a visit to The Ferndale Historical Society’s website – http://www.ferndalehistoricalsociety.org/history_pamphlets.html. 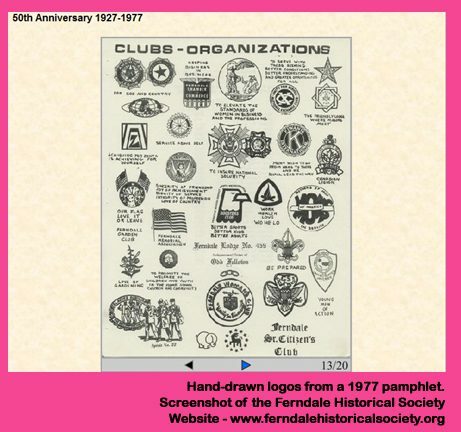 By working on one small project at a time, the volunteers of the Historical Society and the Historical Museum are gradually building up their website to complement the thousands of historical documents and items housed at the Ferndale Historical Museum at 1601 Livernois. The Ferndale Historical Society, which operates the Museum, has recently obtained grants to digitize old copies of The Ferndale Gazette, a community paper that started in 1919 and run into the 1970s. Some of the back issues are available online at http://www.ferndalehistoricalsociety.org/history_ferndale_gazette.html. Other information on the site includes biographies of famous Ferndalians, information on previous Mayors, and back issues of The Historical Society’s Newsletter The Crow’s Nest. Ferndale resident David Lungu, who helped create the website as part of a school project, says that it feels good knowing that people can access information about our city’s history online at any time. He adds new content to the site as he’s able. “I’m really focusing on the ‘People’ section,” he said. “I think we’ve had some really interesting people. I had fun learning about Chuck Jaeger and his inventions.” The site has information on Gerry Kulick, Edgar A. Culbertson, Maurice Cole, Jack Richard and others. Who the heck are those people? If you don’t know, then you might want to check out the website and find out! For those who want a more hands on view of our city’s past, The Historical Museum is open on Mondays and Wednesdays from 10am- 1pm and Saturdays from 2pm – 4pm, when volunteers are available. The Museum is always seeking volunteers and new members. For more information check out – http://www.ferndalehistoricalsociety.org or call 248-545-7606. NOTE: This story was originally published at www.ferndale115.com before the website upgrade. It was re-uploaded in 2014.